12 South Lexington is a newer mid-rise in Asheville. 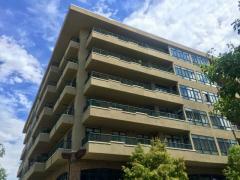 The building offers studio, 1, 2, and 3 bedroom floor plans and most units feature private balconies. There are 43 condominiums at 12 South Lexington and 2 commercial units. Have any comments or questions about 12 South Lexington? Ask your question and/or share your thoughts about this Building.